See below for a Sweet Giveaway!! Over the years, cooking Thanksgiving Dinner for my family has become more and more challenging. I have a treasured list of traditional recipes made up of everyone's favorite requests. However, the health factor of said recipes has, on occasion, been questionable. Years ago I would think, "No worries... it's only one day. We can worry about eating healthy next week.". Lately though, "no worries" has become "not an option.". Last year's dinner had me catering to the following: 1 quadruple by pass, 1 lactose intolerant, 1 lactose sensitive, 2 high blood pressure, 1 congestive heart, and 2 diabetics. Oh, and add in the one who doesn't like onions, and my traditional recipes have required some work. With the high in sugar (but oh so wonderful...) Grand Marnier Cranberries being my Mom's favorite part of the meal, her recent diabetes diagnoses had her last year spooning just a taste onto her turkey. As her diabetes is relatively mild, it has been easily controlled through oral meds and dietary changes, and this year I was on a mission to find cranberries she could eat with abandon. Or at least eat a decent share of without issue. As is many times the case, timing is everything. An email a few weeks ago from my fellow food blogger, Carolyn Ketchum, of All Day I Dream About Food, made me aware of November's special status of Diabetes Awareness Month, and that today, November 14th, is World Diabetes Day. If you know Carolyn, you know that she is one of those amazing people who manages to care for 3 young children in combination with producing a fabulous blog filled with gorgeous photos and her own low carb and mostly gluten-free recipes while making it all look so easy. Carolyn was diagnosed with gestational diabetes in her third pregnancy, and when the diabetes decided to stick around, she embraced lifestyle changes in order to continue her lifelong passion of baking and cooking. Today, Carolyn has put together over 40 food blogger friends who are posting their own diabetic friendly recipes to bring awareness to World Diabetes Day. I highly recommend taking a gander over to Carolyn's site to check out her KitchenAid Mixer Giveaway, in addition to perusing the rest of the diabetic friendly links that she will put you in touch with. And as luck would have it, Carolyn has put many of us in touch with Swerve, an all natural sweetener she swears by that measures cup for cup like real sugar. The people at Swerve have kindly offered us an opportunity to do a Swerve giveaway of our own (see below!). I will admit to being hesitant in the past to trying sugar replacements filled with chemicals and other "stuff", and have instead opted to either reduce sugar, replace with honey or agave, or not make the recipe at all. Swerve though, is made from a unique combination of ingredients derived from the fibers of fruits and vegetables, and the fact that Swerve contains no artificial ingredients, preservatives or flavors, enticed me to give it a try. Not being able to find the ingredient in my local West Coast stores, I used my preferred shopping method of online shopping, and had a box on my doorstep in mere days. They even sent me an email confirmation saying, "Thanks for your order Sweetie!" which had me smiling from the moment I met them. Have your cake and Skinny Jeans Too! While my immediate family has no diabetes issues, Liv does have a fairly strong sweet tooth, and as a wee one had been found on more than one occasion with a unapproved spoon in the sugar bowl for a snack. As such, I do whatever I can to try to reduce the sugar in her diet, and little does she know, she has been eating Swerve all week long in her muffins, pancakes and cookies. This week I've made recipes for her and our car pool girls, and I asked pointedly how they liked the snacks. Happily receiving a resounding, "Awesome!" as an answer along with requests for more, I also asked if the recipes were sweet enough (a common complaint with the girls as I'm always reducing sugar), and every girl answered yes. Quite a testament, I'd say. With Thanksgiving just around the corner, my next project turned to Mom's cranberries. Making my usual recipe of our favorite Grand Marnier Orange Cranberries, I simply subbed 1 cup of Swerve in place of 1 cup of granulated sugar. While the consistency proved to be slightly different, not quite as "jelled" as with the regular granulated sugar, the taste was just the same, heavenly. As mom can have some sugar, we did add the usual amount of orange juice to the recipe, so the recipe is not "sugar-free", but it is greatly reduced, and will work beautifully into her meal. Swerve Sweetener has earned its place in the front of our pantry this week, and I'm eager to share a fabulous gift pack of two 1 lb. 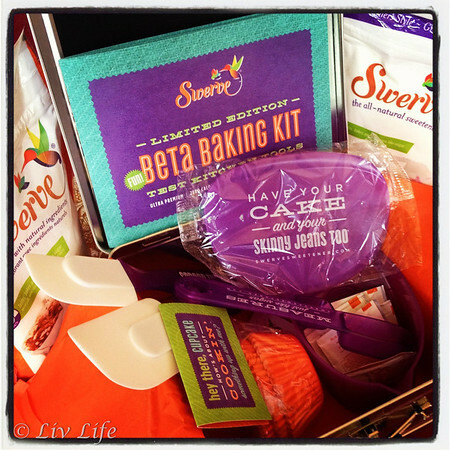 Swerve Sweetener packages along with an adorable Baking Kit (Liv's eyes lit up when she saw the one they sent to us!) including spatulas, cupcake wrappers, measuring cup and spoons, along individual Swerve Sweetener packets, all packaged in a cute little lunch box. (Liv has actually taken hers to school where she had everyone asking "Where did you get that??"). Instagram I shared to make my friends envious!! 1. Leave us a comment telling us your favorite Thanksgiving can't live with out dish! Our winner will be chosen at random at 3 PM PST on Tuesday, November 20th and will be notified by email (please leave your email if your comment does not link to it). Good luck, and thanks for joining us in supporting World Diabetes Day! A tradition for over 15 years, now made diabetic friendly with the use of a sugar alternative. A sprinkle of my beloved Grand Marnier over the top of the hot berries brings this sauce to a near heavenly experience in my book. Fine, and even better, made a day ahead of time. Enjoy! Have left overs? Use it in our favorite holiday appetizer... Cranberry Kisses. Place cranberries in a glass baking dish and toss with sweetener. If your taste runs fairly sweet, add an extra 1/4 cup of sweetener. Stir in orange juice and peel. Cover tightly with foil and place on a baking sheet (experience has shown that on occasion the berries can boil over! Best to be safe, and place on a baking sheet). Place in the oven and bake for about an hour or until the berries are very soft and juicy. Remove from the oven and stir in the Grand Marnier (the aroma is intoxicating!). Cover and refrigerate. Can be made up to 3 days in advance. Liv Life Note: I found that our cranberries were a tad dry after a day in the fridge. To freshen, I placed them in a small saucepan on the stove and added about 2 Tbs water while heating gently until moistened. 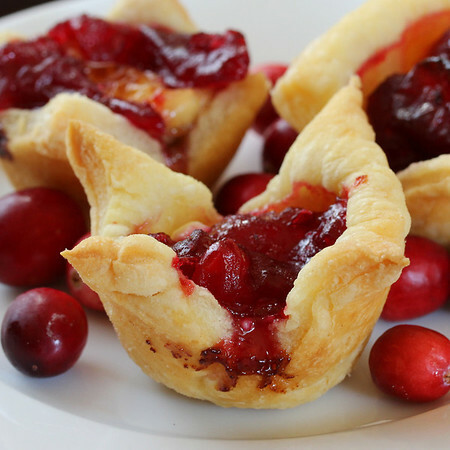 Goat Cheese Cranberry Kisses... the perfect use for leftover cranberry sauce! Very good post. I like the intro to Swerve. 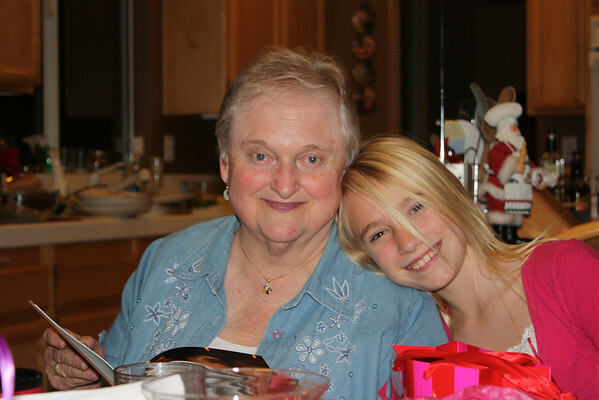 Though no diabetics in the family, as we age it can happen quickly. Had not heard about this new sweetner. Have stayed away from all the others, like you, but I will want to try this. Thanks for the info. Happy Thanksgiving to you and your family. My can't live without is DEFINITELY my step dad's sweet potatoes. I start craving them 2 months in advance! Thanks for the great recipe. I think at the holidays, we can still indulge a bit, but try to be healthy where we can! I love old fashioned mashed potatoes with mushroom gravy! It sounds like your mom and my mom have the same level of diabetes. How funny that we both made cranberry sauce for them. Yours looks absolutely delicious, as always. 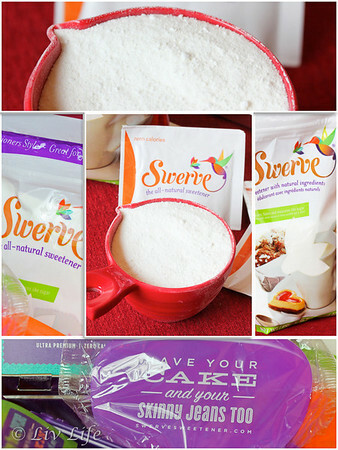 I am very interested in trying the Swerve! I love dressing! The cranberries are always my favorite too! My dad is going to be soooo thankful to you for sharing this cranberry sauce recipe... he has been borderline diabetic for years and we always have to work around his diet. 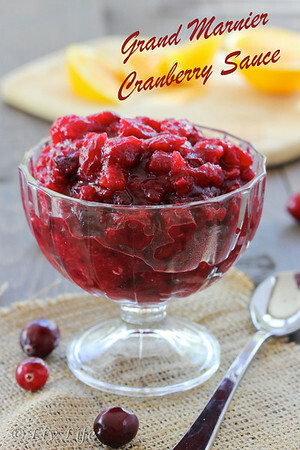 I love cranberry sauce so will have to try this one! I always loved stuffing but now I have to avoid it due to low carb. Luckily I don't care for my bf's family recipe so it's not so hard to resist. Now when I'm at my mom's... Not so easy! Oh how I love cranberry recipes this time of year. This looks SO good! My mom makes something very similar to this for Thanksgiving. I definitely look forward to the turkey and roasted Brussels sprouts. So yummy! Must have something pumpkin, of course. Be it pie, bars or a shake. I just love your Goat Cheese Cranberry Kisses! My favorite recipe is my Blueberry Yam Walnut crusted Pie. I sub Stevia instead of the sugar. I would love to try the Swerve. I Pinned a pin from this post on Pinterest. Ok, you got me. I so need to try this stuff out! I've been so adverse to trying artificial sweeteners, but this looks perfect. I think your cranberry sauce is hitting our table next week too! The recipe looks awesome! I LOVE swerve! I can't wait to try this recipe! My dad is a diabetic so I appreciate this post. What I can't live without on Thanksgiving? Rice, city's, cranberry stuffing. Favorite Thanksgiving dish is my Grandma's chestnut dressing! Your Grand Marnier Orange Cranberries sound wonderful! And I love the way you cater to your guests' dietary needs with a smile on your face. I need my pumpkin pie--low carb of course! I must have sweet potatoes on Thanksgiving. 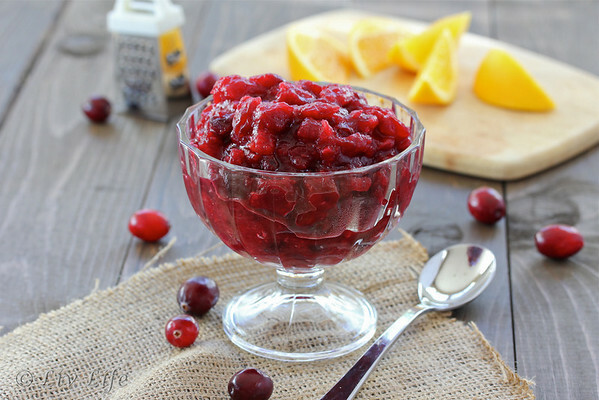 I can't wait to add this cranberry sauce recipe to our table. Thanks! What a beautiful cranberry sauce--I love it! I'm glad to hear that the Swerve sweetener worked in it. Like you, I'm not fond of chemical artificial sweeteners, but I'm curious to try Swerve. ...and I think cranberry sauce just might be my favorite Thanksgiving dish too! I absolutely love baked sweet potatoes. IT may seem simple, but it's a must for the holidays! I adore cranberry sauce too!!! I liked swerve on facebook and followed on twitter and shared your recipe on my helathy pin board! Can't live without SF Pumpkin Pie. Would like to make it with Swerve. Hope i'm lucky enough to win. Your Grand Marnier Cranberry Sauce looks like a winner.